We have a variety of spaces available to hire to local groups, businesses and sports clubs. Our main hall can seat up to 100 people, theatre style. The space is flexible and can be split in to 3 equal sections seating around 30 each allowing us to cater for anything from small groups to larger special events. Our meeting room seats up to 16 people, Boardroom style. Caffe Amore offers catering as well as a tea and coffee service. 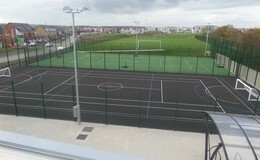 Our floodlit courts include 1 netball/tennis court and one 5 a side 3G football pitch. All are available to hire to coaches and clubs for sports activities or, if you want to get together with a group of friends for casual play. We have a 7 & 11 a side grass root football pitches available to hire. Outdoor, floodlit courts are available for use all year round. 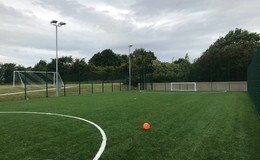 The pitch is a multi-use, tarmac surface. Users have access to changing facilities and lockers, subject to availability. 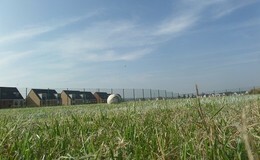 At Great Park Community Centre we have 2 brand new sports England standard pitches. we have a 7 by 7 football pitch available for hire and an 11 by 11 available for hire. Our spacious main hall is perfect for a wide range of activities. There are a variety of flexible solutions to allow for your specific set up requirements. The hall splits down in to three smaller, equal size spaces, ideal for smaller groups and activities. Our meeting room is available for smaller activity groups, training sessions or corporate meetings. Outdoor, floodlit Netball courts are available for use all year round. The pitch is a multi-use, tarmac surface. Users have access to changing facilities and lockers, subject to availability. We have one outdoor, floodlit tennis court available for use all year round. 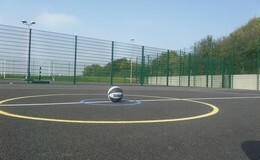 The court is a multi-use, tarmac surface. 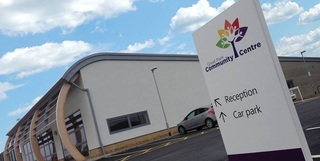 Users have access to changing facilities and lockers, subject to availability.